For those of us who are hard-core traditionalists when it comes to the process of reading, the outlook has been worrisome recently. Our more liberal peers have taken to e-reading quickly, and it’s easy to see why – it’s cheaper, lighter, more flexible, economical in space, and environmentally preferable. The industry is growing and it is likely to continue to do so, likely leaving physical-book-readers in a minority position within a few years to a decade. However, the way I see it, in this electronic age at least one aspect of the written word is flourishing like never before – typography. Because it’s easier to publish information on a screen than on paper, in a way we are now reading more than ever. Perhaps it’s a different sort of reading: it’s less academic and more applicable. We would be more likely to read today’s headlines rather than historical novels. It’s more sporadic – workplace elevators have announcements, public transport has advertisements, our twitter feeds have an endless assortment of tiny unrelated stories. The type of reading we do is now a mish-mash of personal and professional topics, ranging on a scale between serious study and leisurely browsing. Written content is absolutely everywhere, and this is precisely why typography is flourishing. It has become an integral part of advertising all of these messages. Sometimes, style has to lead substance; the right type has to help facilitate a good readership statistic. We read by type as much as we read by content. The study of logos illustrates this. Facebook is instantly recognizable with the white sans serif initial on a blue background. Tumblr is interestingly similar. The newspapers tend to favour a serif font, while dark chocolate labels are sometimes cursive and/or italicized, for sophistication. 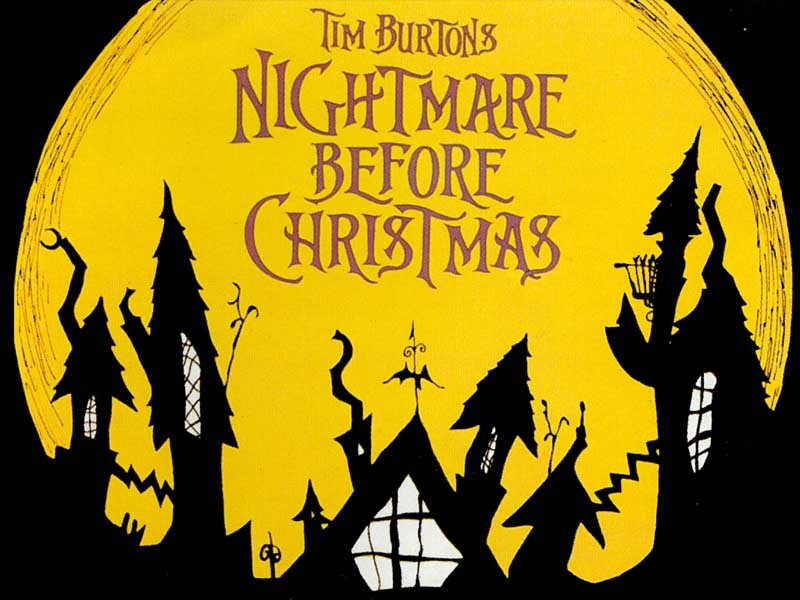 And of course we can tell that a movie is directed by Tim Burton from the font alone, as well. Today, typography helps us manage information, of which there is an undeniable everyday excess. To take a step back and examine typography under a more classical lens is worthwhile as well – it’s the perfect blend of art, science, and language. As a starting point, a good read is The Elements of Typographic Style by Robert Bringhurst. Though technical, it is thorough, and written by someone who appreciates typography as a fine art. Finally, among all these graphic designs intended to sell us information, and the rigorous study that can go into the history of typography, I find solace in the fact that it can also be a retreat. I recently attended a craft exhibit where several small-shop printers had booths set up to sell greeting cards, calendars, bookmarks, and other paper goods. It’s nice to see that people are also creating elaborate prints of words purely for the aesthetic qualities: it proves that this kind of style, not weighed down by extensive content, can be appreciated in and of itself – on paper or on a screen. Tags: elements of typographic style, graphic design, letterpress, logos, robert bringhurst, typography. Bookmark the permalink.